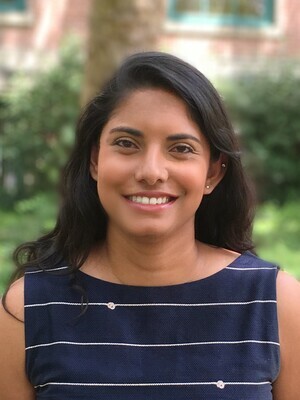 Mini Saraswati is a graduate student in the Department of Political Science at the Ohio State University, majoring in Comparative Politics. Her research interests include political development in fragile and failed states and the influence of natural resources on governance and security. Other interests include climate change and the effects of exogenous shocks (e.g., natural disasters) on state regimes. Prior to joining Ohio State University, she completed her B.A. at Wellesley College with a major in Political Science and a minor in Astronomy. She also holds an M.A. from Columbia University in Climate Science and Policy. Outside of school, she can be found exploring new restaurants, traveling, and taking long hikes with her dog.